There are many reasons to be cynical about the Tour De France but despite that it continues to capture the imagination, or mine at least. Whilst much could be said about the history of the race, the nature of the endeavour, the competitors, teams, sponsors etc. the real attraction for me is the incredible landscape through which it passes. 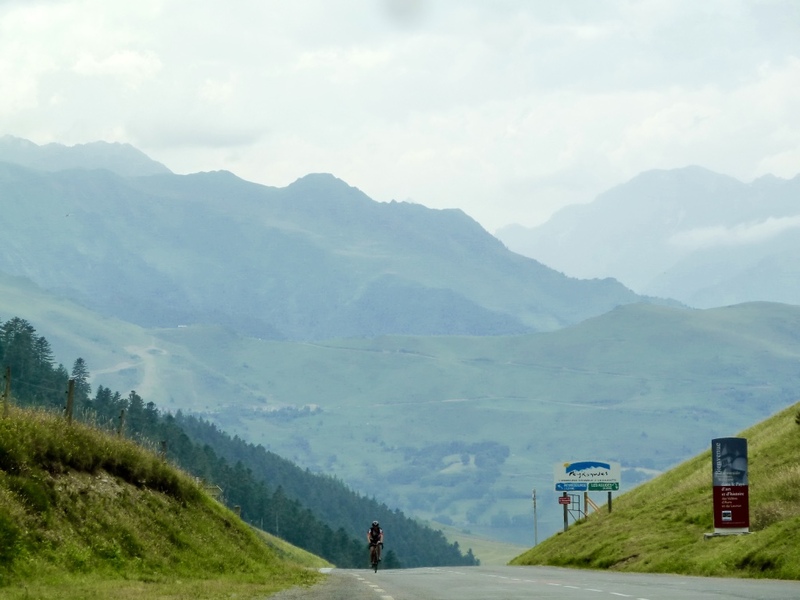 It’s a landscape that acts as a draw for cycling enthusiasts, the people who cycle for the pure pleasure (and pain) of it, and for those who love the mountains and really it is the mountain stages that are truly stunning. 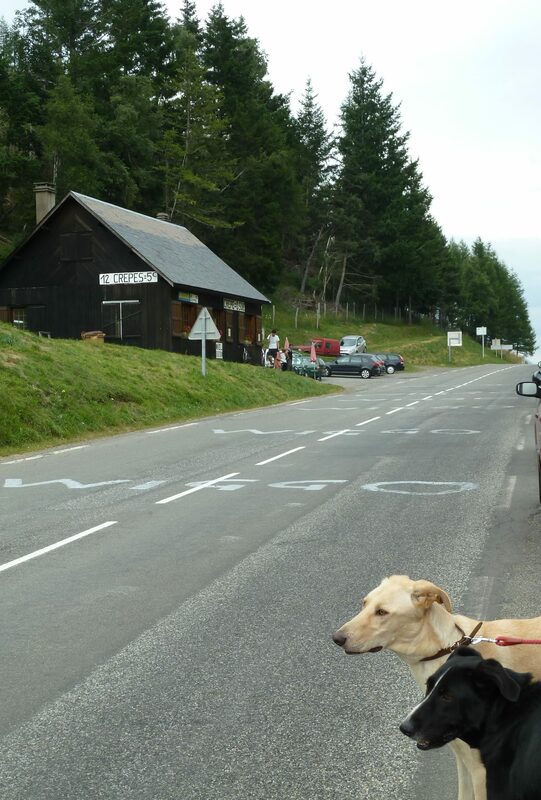 This is the crepe stop, which appeared popular among some of the cyclists who made it to the top when we were there. This marked the end of the 17th stage of the tour in 2012, the year Bradley Wiggins won the race at the spot where his name has been painted on the road by his supporters. He came in third on this stage led by Alejandro Valverde and Chris Froome. 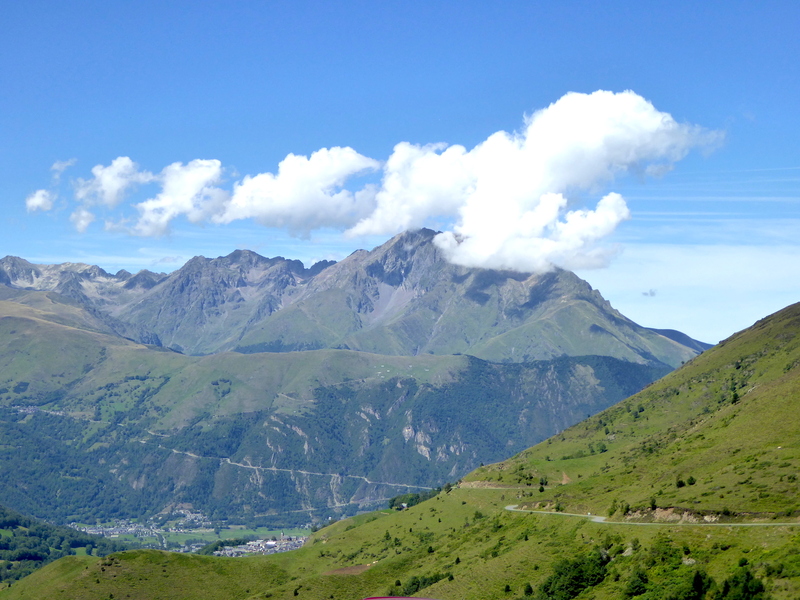 This stretch of mountain roads will be part of Stage 17 again this year on Wednesday 25th July, but this year it’s a shorter stage at just 65km from Bagnere-de-Louchon to Saint-Lary-Soulon covering Col de Peyresoude, Montée de Peyragudes, and Col de Val Louron – Azet, the latter 2 being Category 1 climbs. This is a panorama at the top of the pass. 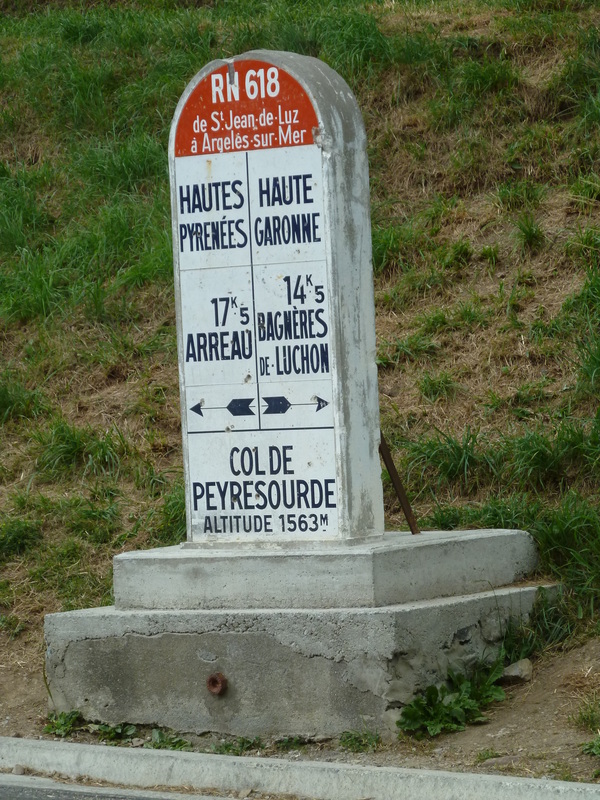 This is one of few Pyrenean mountain stages the year as the route as a whole passes through more northern parts of France and has a number of alpine stages too. One thing I doubt the Tour riders will have time for is the Maison Pyrénéenne du Pastoralisme at Azet, but I would recommend it to anyone else who happens to be passing as we were in 2015 and stopped by to find out more about Pyrenean sheep and the practices of pastoralism in this area and beyond. The tradition of painting the names of the rider you’re supporting on the road means that some of the stages have the history of the race written on the tarmac on which it is raced – The famous Col de Tourmalet is like this, it clearly hasn’t been resurfaced since at least the late 1990s given some of the names still there. Had my camera memory card not corrupted the year we went over this pass, I’d have more than the just the rescued split image below to show you. Stage 19 on Friday the 27th will see the race coming over Tourmalet but again I doubt the riders will want to see the Llamas that live here and make their presence felt, and I doubt they’ll be thinking of the local sheeps cheese also named Tourmalet. Especially if they’ve just encountered the cattle at Col d’Aspin shown here with non-Tour cyclists; picture taken on the move. All this is a by way of introduction to a series of posts through July that have a link to The Tour route and cycling more generally. I will share some information on Pyrenean sheep from the Maison Pyrénéenne du Pastoralisme at Azet, some vintage knitting patterns for cycling gear and the history of wool cycling garments, a review of Kat Jungnickel’s fabulous new book, ‘BIKES and BLOOMERS: Victorian Women Inventors & their Extraordinary Cycle Wear’ about women who not only cycled by designed and patented clothing appropriate for cycling, challenging accepted social and dress codes as they went. There may even been be a few extras time permitting. I hope you’ve enjoyed looking at these pictures and they encourage you to spend a bit of time in front of the TV knitting (or spinning whether as part of Tour de Fleece or not) and enjoying the views.